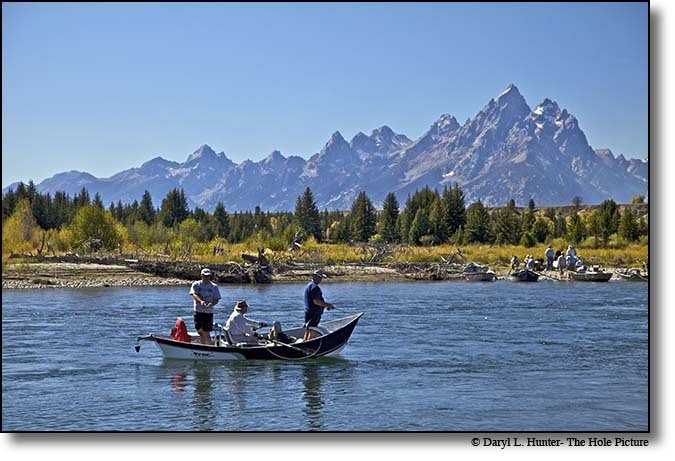 The attractions of Grand Teton National Park seem to run into one another, they mesh together seamlessly in this scenic treasure so gust start on one side and work you way to the other and enjoy the ride, hike, ski,climb, float, etc. 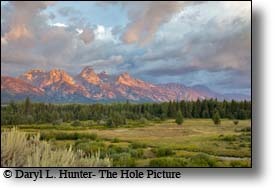 Grand Teton Mountain Range • One of the things that sets the eastern view of the Grand Tetons apart from other ranges is there are not any foothills to obstruct the view. The actions of natures elements have sculpted a monolith of sharply notched peaks accented by deep U shaped glaciated canyons that are truly a sight to behold. 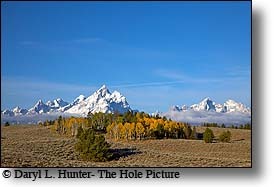 If you think the Grand Tetons is awe inspiring from the valley floor a trip into the center of them will set new benchmarks for beauty for the hard drive in your skull. 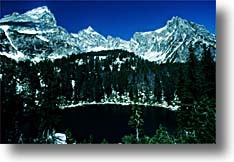 Along the eastern base of the Grand Tetons are several clear blue lakes, the result of glacial moraine damming. 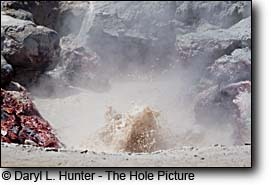 When the glaciers receded from the last ice age they left these gems of nature for our enjoyment. Phelps, Jenny, Leigh, Sting and Jackson Lakes all are icing on the cake in this beautiful spot on the globe. 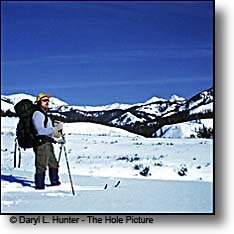 Each canyon has a trailhead to lead you into the web of trails that traverse the Teton Range. Gros Ventre River • The Gros Ventre River (pronounced 'grow-vont') flows from it's headwaters in the Gros Ventre Wilderness which forms much of the eastern boundary of Jackson Hole and lies mostly to the south of the river. The Gros Ventre is a swift medium-sized freestone river providing plentiful pocketwater, runs and pools. There are not many riffles on the Gros Venture. The river alternates between a broad cottonwood-lined bottom and narrow canyons. 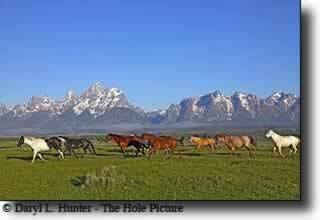 Views of the Grand Tetons Range are spectacular. 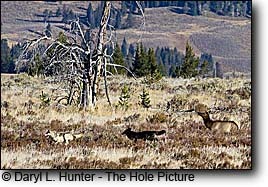 It is a beautiful, undeveloped region with abundant wildlife. Jackson Lake • Far below the sky scrapping granite peaks of the picturesque Grand Teton Mountain Range, not far from the source of the mighty Snake River lies what appears as a divinely inspired accent to an already perfect alpine landscape; Jackson Lake. Jackson Lake is 18 miles long, and averages 4 miles wide and encompasses 40 square miles. 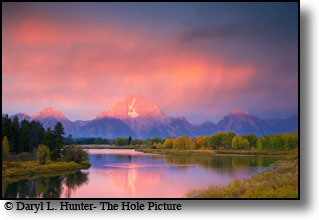 The elevation of the lake is 6,750 feet above sea level, and the Grand Tetons that tower above reach 13,770 feet, 7,020 feet above the water. Jackson Lake is 445 feet deep; filling a depression scooped out of the ground by an Ice Age glacier. 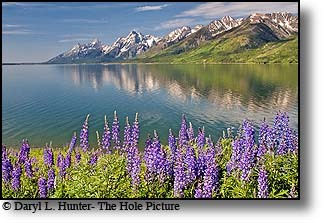 Jackson Lake is the biggest of the Grand Tetons seven morainal lakes that grace the base of the Teton Range like a pearl necklace. 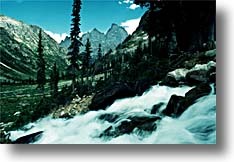 Cascade Canyon • Cascade Canyon the most popular hike in Grand Teton National Park is well worth doing. 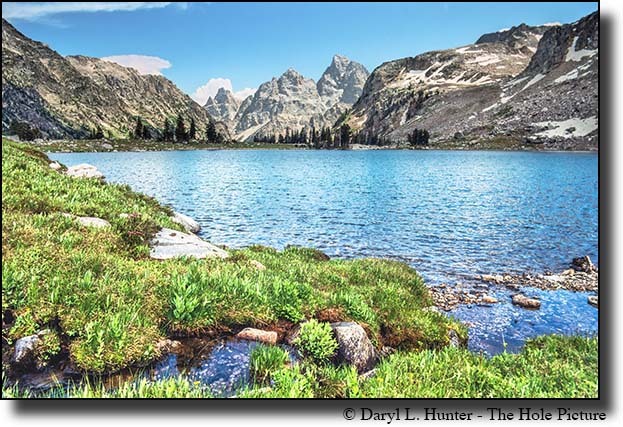 Surprise Lake • A Grand Teton hike that takes you half way up the Grand Teton to 2 beautiful lakes, it is a 4000 foot elevation gain and is better left to July before attempting it because of snow. 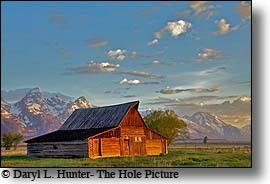 Picturesque Barns, a favorite for the photographers. Lake Solitude • An outstanding hike. 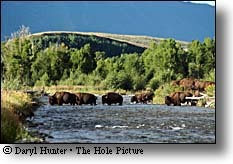 Grand Teton Wildlife • Nowhere else in the United States, including Alaska, can the casual visitor observe such a striking diversity of "charismatic mega-fauna" (the large mammals) that abound in this region, Bald eagles, golden eagles, black bear, the elusive cougar, the wolverine, the pine marten and the gray wolf. 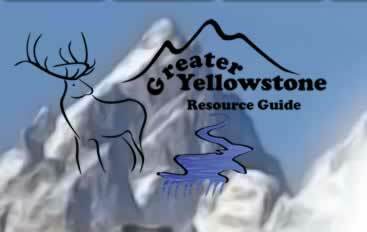 Jackson Hole and Yellowstone are home to that most formidable icon of wildness, the grizzly bear. 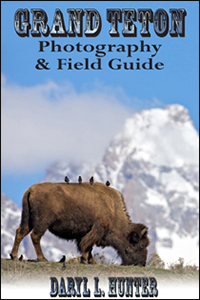 The region also hosts the largest herds of elk in North America and is one of the few remaining areas in the lower 48 states where the grizzly bear still roams in significant numbers, and is home to the largest free-ranging herd of bison in the lower 48 states. Cross Country Skiing • You would be hard pressed to find a prettier place to cross country ski than Grand Teton National Park. 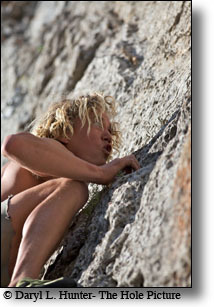 Mountaineering • The Grand Tetons offer some of the best climbing and backcountry skiing in the world.